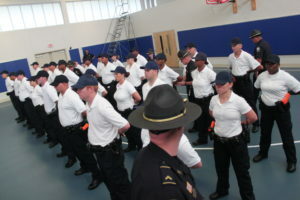 Cadets in training at the Academy. When a St. Charles Parish Sheriff’s deputy responds to his or her first call, that person has undergone more than 1,700 hours of training. It made a difference for Cpl. Burt Hazeltine, who survived three gunshot wounds from a man who apparently ambushed him on U.S. Highway 90 while he directed school traffic in April of 2015. 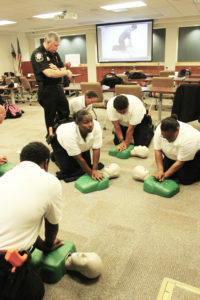 Shortly after Hazeltine got out of the hospital, he thanked Candies and other instructors for what he learned in their classes because he believed in that training. Candies called it a wake-up call. “These things aren’t supposed to happen in St. Charles Parish, but it did,” he said. It’s why the Academy has evolved to ensure deputy and community are both safe. 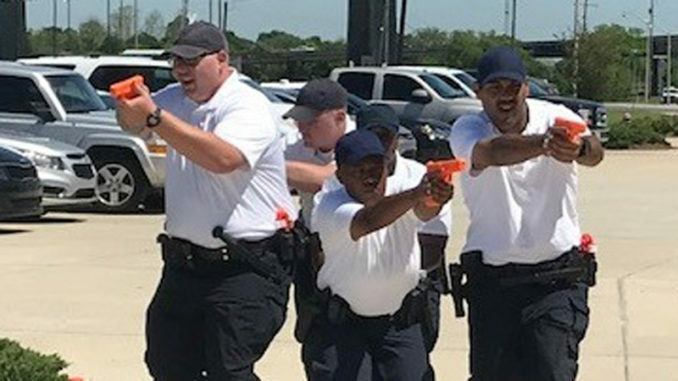 Candies said no one has “just quit the Academy” yet in St. Charles Parish, but as classes proceed there may be reasons they can’t stay such as lacking the skills to do the job or the profession just isn’t a good fit so they choose to leave the program. Even so, the majority of the cadets typically graduate and have successful careers. A deputy’s key lesson is “de-escalation techniques,” which involves communication, body language, and active listening, Candies said. The goal is to avoid or diffuse a conflict and trying to do so without having to use force. If force must be used, the emphasis is on use of less lethal weapons, negotiation and recognizing persons with mental disorders to avoid provoking them. This what a cadet learns at the Academy. By the time a deputy is hired in the enforcement division, he or she has completed nearly 15 weeks at the Academy. Overall, it could take two to three years to get from academy graduate to patrol depending on the applicant’s qualifications and uniform division’s needs for people. Once on patrol, the deputy learns the community. Today’s deputy deals with more danger and must stay current with their training, he said. 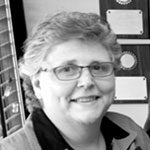 Law enforcement is a rapidly evolving career that also means staying abreast of training. Interpersonal communication skills are also critical in a deputy’s ability to be able to talk to people and relate to their situation. 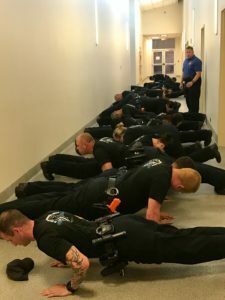 In Candies’ 32 years with the Sheriff’s Office, the biggest change he’s observed in Academy training is the implementation of mandated active shooter training. As someone who also survived life or death situations, his proudest achievement is resolving them without shooting his gun. The parish’s seventh active shooter drill is scheduled in January with date and place to be announced. Candies praised Sheriff Greg Champagne’s emphasis on yearly in-service training.